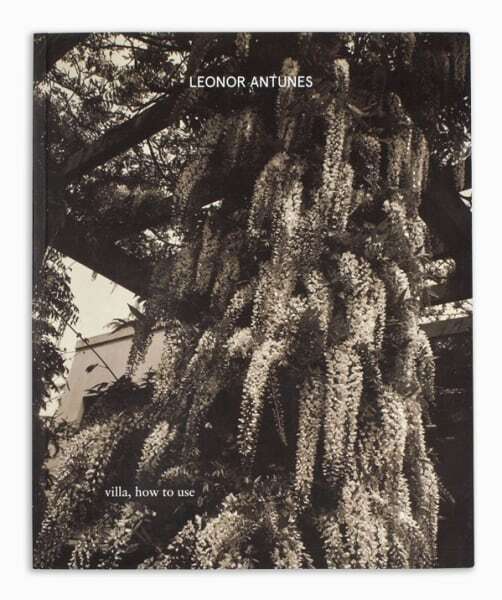 This publication documents the exhibition Leonor Antunes (Lisbon, 1971) conceived specifically for the Serralves Villa in 2011. A vast selection of installation views and five essays make it the most relevant monograph published to date on Antunes’ art. In the context of a singular reflection on the philosophical history of hut building, Dieter Roelstraete highlights the speculative concerns that, under the blanket term architecture, Antunes shares with the three most important German-speaking philosophers of the twentieth century (Wittgenstein, Heidegger, and Adorno): identity and belonging, homeliness and uprootedness, domesticity and interiority, measures and proportion, space and balance. Starting from the case study of the reconversion of Manhattan’s Park Avenue after WWII, Maria Berman examines the theme of duplication in architecture. Doris van Drathen finds in Leonor Antunes’ work an attempt to extend the idea of ‘measurement’ to a dimension where it becomes — similar to writing or drawing — a tool of grasping the world. Nuria Enguita Mayo addresses the problems of duplication, faktura and restriction. Ricardo Nicolau analyses the dialogue of the artist with the architecture of the Serralves Villa and the memory of other modernist buildings and her interest for the so-called lesser decorative arts that are now at the brink of extinction. Texts by Maria Berman, Nuria Enguita Mayo, Ricardo Nicolau, Dieter Roelstraete, Doris von Drathen. Graphic design: Purtill Family Business.